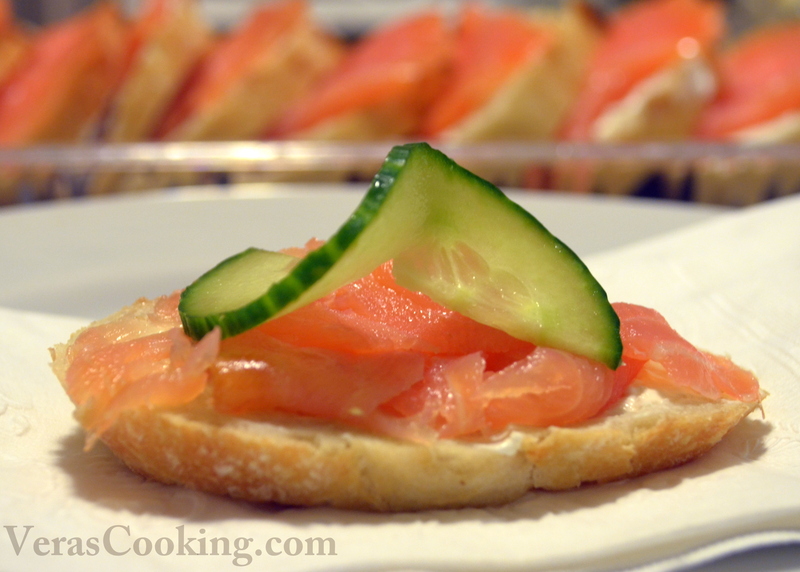 These Smoked Salmon Canapes are colorful appetizers, perfect for passing on a tray, and can be served as the first course at dinner. They sure help create an elegant setting for the occasion. Spread bread with cream cheese. 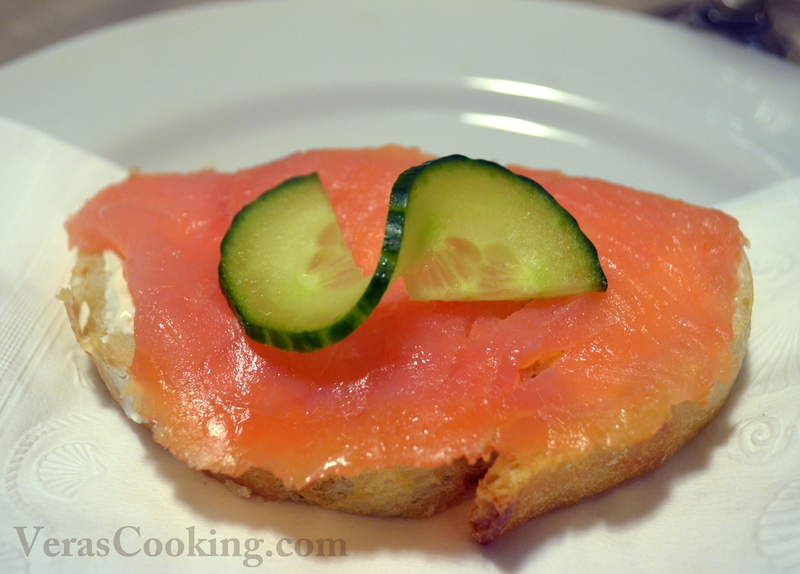 Cut salmon to fit the bread slice, top bread with salmon. Garnish with cucumber slice. Hi Vera, thanks for the new recipe, i have tried this salad somewhere but thanks to you, I’ll know how to make it in my own!!! I have a question regarding the view of your site: is it just me seing not the list of recipes under a category, but recipe followed by recipe??? I mean, it would be better under a category to see the list and be able to choose something not reading the entire recipe…. Sorry if the problem is on my side of computer…..
Hi Natalia, thank you so much for your comment. If you look on the very top of Home page, you’ll see Recipe Index tab. Click on it, and it will take you to the page with pictures of the recipes that are linked to the recipes. I’m not a big tech pro, yet, and couldn’t figure out the settings for the “summary only” in the category section. Eventually, I’ll get it;) Meanwhile, I hope that Recipe Index will help you find recipes that you’re looking for. Blessings to you!